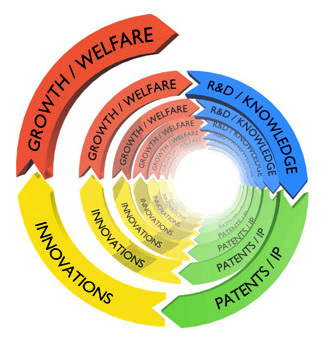 The IIP Research Group is an international and interdisciplinary research group combining management, economics, law and technology for useful studies of intellectual property in an innovation context. A patent’s lifetime ago Ove Granstrand published The Economics and Management of IP. Since then he has worked on his newly released book in the same area: The Evolving Properties of Intellectual Capitalism: Patents and Innovations for Growth and Welfare. Much has happened since then regarding IP and innovation in the global economy, and much more will happen in the 20 years to come.